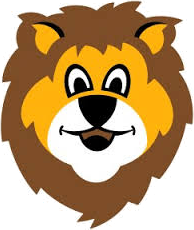 Lion (kindergarten program) is transitioning from a pilot to an official Cub Scout rank and program taking effect for the 2018-2019 program year. 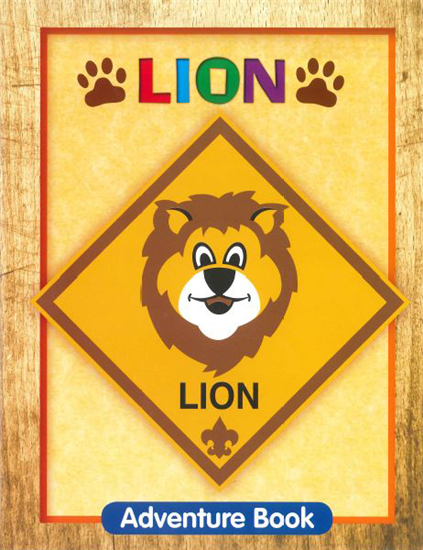 Recognizing the success of the national Lion pilot program, the Boy Scouts of America’s Board of Directors have approved integrating Lions into the Cub Scout program empowering chartered partners with packs to offer the experience to kindergarten-age children nationwide. The activities introduce the family to Cub Scouting, and provide an exciting way for the little guys to explore the world around them. The program will fuel their imagination, creativity and fun as they experience the growth Scouting can provide. Lions join with a parent or caring adult partner. Lions form dens of six to eight Lion pairs and have one den meeting and one outing per month. They wear a special t-shirt and have their own adventures. At the end of the Lion year, they graduate to Tiger and advance through Cub Scouting. Lions can be included in all pack meetings and pinewood derbies. Families can opt into fundraising activities. The Lions uniform is the Lion t-shirt, hat, and belt, with a neckerchief and slide optional after the completion of the ‘Gizmos and Gadgets’ adventure. Lions do not earn the Bobcat rank first. Lions work on their Lion first. When they become a Tiger they then begin to work on their Bobcat. Lions can earn adventure loops, the neckerchief and the Lion rank patch, which is to be worn on the front upper left-hand side of the t-shirt. When Lions cross over into Tigers they may were the patch on the bottom of the left-hand side pocket. As a Lion, your kindergartner will make friends, laugh loud, gain confidence, discover nature, and most of all…have fun! They’ll experience the Scouting concepts of character development, leadership, citizenship, and personal fitness through engaging and exciting adventures!! Kindergarteners will have a blast exploring the world around them in ways that fuel their imagination and creativity. Together, they’ll take their first steps down the path to success. Adventure awaits. Join today! Can all packs offer Lions? The rank is an official part of Cub Scouting — just like Tiger, Wolf, Bear and Webelos. Lions offers a great opportunity for your pack to serve more families. Packs that participated in the Lions pilot program saw an 87 percent retention rate, steady growth and excellent parental involvement. When can my pack begin welcoming Lions? This fall — as part of the 2018-2019 program year. What are these new Lion adventure loops? Lions, like their older packmates, will get to earn adventure loops. Over the course of a year, Lions will complete all five of the required adventures (compared to at least seven for Tiger and above). They also may complete one or more of the nine elective adventures. Adventure loops are immediate recognition items, meaning packs should present them to Lions right away — not wait until a big event like a blue and gold. Adventure loops should be worn with pride on the Cub Scout belt. Lion adventure loops, as well as a Lion advancement chart, will be available in your council’s Scout Shop by late summer. Do Lions come to every pack meeting? Lions should participate in at least two or three pack meetings a year. Ultimately, it’s up to the family. If they’d like to attend more pack meetings, they are welcome. Lions can also have lots of fun doing elective adventures and earning additional adventure loops beyond what’s required. Yes. Lions can participate in family camping with their pack. Lion dens shouldn’t participate in overnight den-specific camping, but pack and family camping are encouraged. Day camp and activities such as shooting sports are reserved for older Cub Scouts. Lion dens should focus on exciting (and age-appropriate) adventures and fun family outings. Can Lions participate in the Pinewood Derby? Yep! You can include Lions in your pack’s regular Pinewood Derby routine or encourage Lions to use the wedge car available at Scout Shops — no cutting required. Will Lions wear the blue Cub Scout uniform shirt? No. They’ll wear the blue Lion T-shirt and blue Cub Scout belt. The hat, neckerchief and neckerchief slide are optional and can be worn after the completion of the “Gizmos and Gadgets” adventure. What is the Lion rank strip? When Lions move into Tigers, they can sew the patch under the left pocket — below where the Tiger rank patch will go. The previously introduced diamond-shaped Lion patch is going away. Do Lions now earn Bobcat first before working on the Lion rank? No, Lions work on their Lion rank first. When they become a Tiger, they’ll begin to work on Bobcat. Are Lion Guides now called den leaders? Yes. The BSA has changed the name to better align with the rest of Cub Scouting. The position’s responsibilities have not changed. Lion den leaders still facilitate and engage families so that each family takes a turn leading one den meeting and outing. The BSA will update its Lions website with more details over the coming days. I’ll add that link here when it’s ready. If you ever get stuck, contact the BSA’s Member Care line at 972-580-2489 or MyScouting@Scouting.org.